Great Invitation 1: Come and See! Post will go here, Ash Wednesday. We’re at it again! Another lively group has gathered at Cedar Park to “midrash” the Third Gospel together. For those who can’t participate in person, or have to miss a week, you can follow along by clicking on the drop down page above this, with the title “Listen! Look! Luke!” and you’ll find links to the class preparation notes that I write each week . Feel free to take a look, add a comment on the comment page, and join in from wherever you are. I first learned o f this practice through an article on the Reformed Worship website quite a few years ago. It’s a tradition that has quickly caught on, and for good reason. The concept is inspired by the story of Magi who travelled from the East, following the guidance of a star, to visit the Christ Child. (You can read the story here at Bible Gateway). 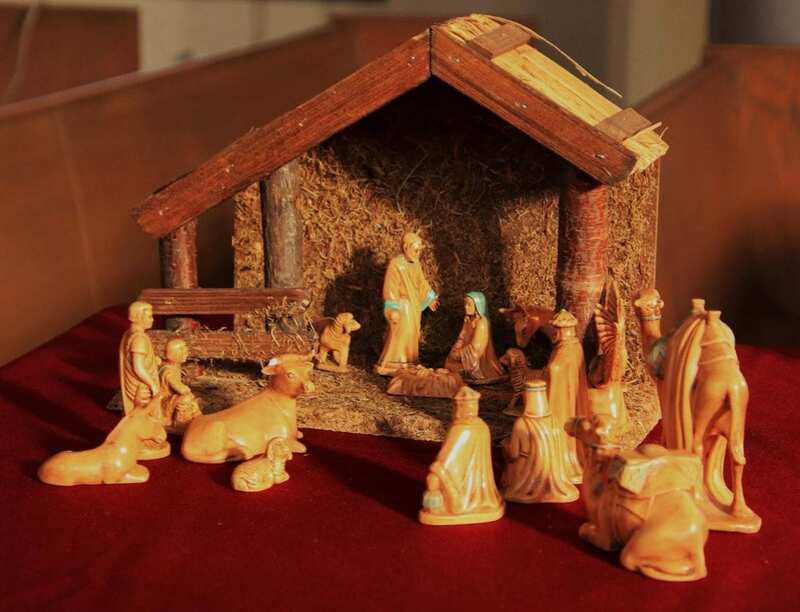 Like the Magi, we choose to be led towards the life of Jesus Christ by the guidance of a star. On the Feast of Epiphany, all who come to worship are given a star, upon which is written a word. This Star Word becomes ours for the length of a season (from Jan 6 to the last Sunday before Lent, March 3), and we’re invited to ponder it, reflect on it, notice it. We may not like it, it may not resonate… at first. But noticing it show up in our daily experience is what makes it become a lode-star, a guiding-star, a north-star for the way we approach and respond to the world, and our life within it. 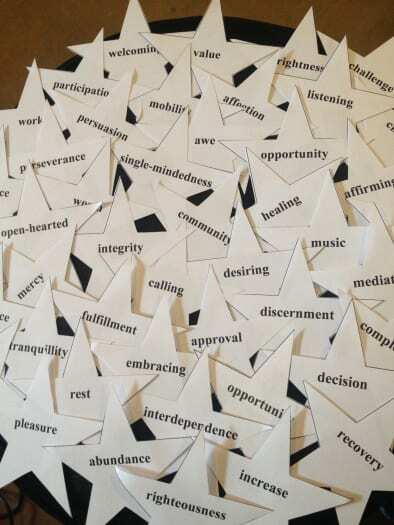 I’ve heard from two clergy colleagues who “lived with” their Star Words for a year, and noticed how much it both reflected and shaped their experience of God-with-Us, and their way of discipleship. You can read one story here. Let me also share this wonderful, humorous story of a family who were guided by Star Words for a month. Our family (two adults, one teenager, two toddlers and a dog) were given Star Words at church last month: Peace, Wonder, Balance, Integrity, Protect. We wanted to swap them around, because “Peace” was given to our warrior, and “Protect” seemed more appropriate for our dog. But we did as we were told, and tried to be attentive to our words at least once a day. It’s been frankly amazing to become aware of these words and the way they show up in our lives. My normally pragmatic/stoic partner – given Wonder- has started saying “Wow!” as she notices beauty, hears music as if for the first time, and is amazed when the toddlers stop fighting. Our teenager, who normally lets the world go by, has joined the school anti-bullying group, and won’t use straws or plastic forks “It’s for the fish, Mom, duh…!” I’ve noticed the innate integrity (or honest emotion and action) of two year olds, and the effort it takes them to balance night and day, sleep and play, food and fighting. Yes, peace is definitely lost, often in this crazy blended household, but I’m noticing, it is more often regained. We were asked to hand the words back on Sunday. Not happening. We’re not letting them go. Not ever. They’re ours now. Peace out. So that’s what we’re going to do this Sunday. You’ll all get a Star Word. If you can’t be in worship on Sunday, and want to join in, then leave a comment on this blog, and we’ll give you your own Star Word. Or check out our Facebook pages on Sunday 6th, leave a comment and we’ll give you your word. And on the Feast of Transfiguration, we’ll see where these Star Words have led us….. I can’t wait! We’ve heard this tale already, a few times, in the past few weeks. 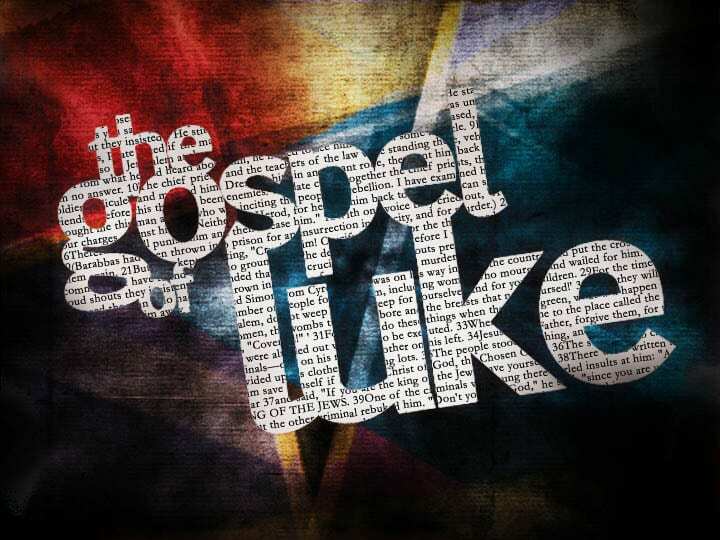 Luke’s telling of the birth of the Christ child. Some of us perhaps retell the story while we put up our crèche scenes. some shepherds, and their sheep. (And not for today, because Luke doesn’t tell their tale, three magi with their camels). What our manger scenes may not display however,is the dominance of Rome. like pawns on a chess board. But I wish we did. of millions because of the fiscal, or military, or geopolitical whims of the mighty. the discipleship that they have made for themselves and their children. of Christ’s birthing in the world. who are forced to eke out some semblance of protection out of the “make-do” of temporary shelters. and most especially, when life is born in places of desperate displacement, and fear. And when I wrap my shepherds, I want to remember that they are not in fact superfluous to Luke’s telling of the tale, but that they are crucial to it. swaddled in the tiny fragile flesh of a newborn mortal. in a world that’s sick and tired of fake news. This coming Sunday we will hold our annual “All Saints” worship service. “What is that?” you may be asking? Is it for me? Is it for my family? I hope the following post helps. 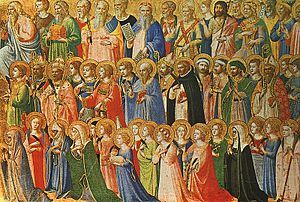 November 1 “All Hallows” day – or All Saints Day. November 2 “All Souls” Day. 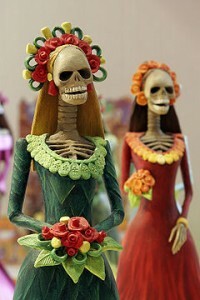 In Spanish speaking countries there is a similar tradition – el Día de los Muertos – the day to honour the dead. Families will gather at the graves of their dead, often decorating them with sugar sweets and flowers, and with a time for praying that the dead be “blessed” by God with the rewards of Heaven. At Cedar Park United we are part of a Christian tradition that believes that God’s love is so eternally limitless, that the souls (or the essence) of those who have died are still held in God’s limitless love, and that these bonds of love outlast life and death. So we gather on the Sunday closest to these festivals of remembrance and we light a candle for our loved ones who have died, but who still live on in memory and love. As the light of these candles grows, they cast the light of God’s love, and ours into the darkness of grief. It’s really not easy to explain, that’s why death and love and remembrance remain a deep, holy mystery. This is the day we simply sit within the mystery, together. And it is beautiful. And you are welcome to come and be with us. Our Fall season of Midrashing the upcoming preaching texts has started. You can find the handouts on the blog by clicking on the page (top of the screen) called “Midrashing Mark”. 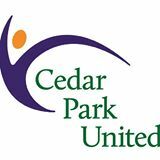 Each week following the ‘in person’ sessions at Cedar Park United, you’ll be able to find the session hand-out. Those words, yet again, took on new flesh, as my hand reached out in greeting to Najah, Sa’ed and their eldest son Alhareth. No longer names in my prayer journal, no longer photographic images on our church announcement screen. I see, I am blessed to touch in greeting, and they are real. And so are we, to them. Another Easter Day, another dawning of hope, another small victory for justice, another triumph of fidelity and love. Let’s shape the world this way, yes? Resurrection Project Day 11: Witness. “What will you do to notice New Life, what will you do to choose to do to witness to God’s Dream for new life?” A few days ago I posted on Facebook a short piece about the gift of time. I had another gift of time on Wednesday afternoon to go down to Larpenteur Avenue, not far from the Luther Seminary Campus, and to put my own feet on the ground where in July 2016, a teacher’s aide was shot and killed by a police officer during a traffic stop for a side-light violation. 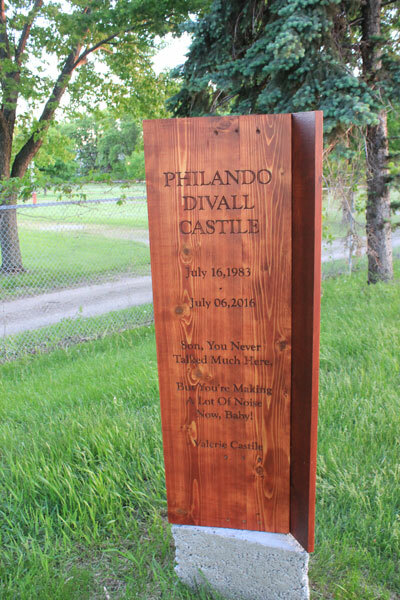 Philando Castile. I don’t even begin to understand the deep racial divide that afflicts the United States, but thanks to one of my doctoral colleagues, Laurie Pound Feille, whose thesis was about race, privilege and the long work of confession and reconciliation, I have become more aware of the pervasive, blinding effect of “white privilege” that I have without knowing it. I am white= I have the privilege of thinking this story has nothing to do with me, that the grief of his girlfriend has nothing to do with me, that as a white Canadian, shootings in the US have nothing to do with me. Except that it’s time I realized that it has everything to do with me. So I took some time, and I took my body and I stood there, uncomfortable, gripped with a feeling somewhere between guilt, shame, sadness, and anger that this narrative is still being played out, both sides of the border, every day of the week. I left with no peace in my soul at all. And that is good. It was a momentary dismantling of my privilege, which needs to be followed by many more if I am to be part of the healing, rather than the hurting. The New Life this simple column of wood speaks to, is not easy at all., but it is a New Life to which God is calling me/ us. Resurrection Project Day 10: Congratulations, Dr. Jones! 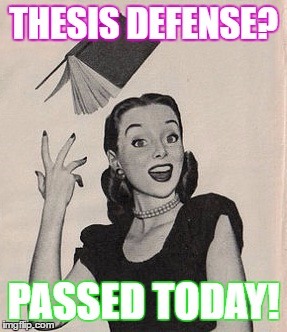 It certainly helps me to add the hallelujah at the end of this short post: I passed “unconditionally.” Am I relieved? Of course! But more than relieved, I am so grateful that I “did you proud,” Cedar Park . Thank you! Are you a glass half-empty or half-full type person? I ought not to be counted among the world’s optimists, at least by natural inclination – I resonate more with Eeyore than Piglet! I have come to realize over the years, that there’s at least some wiggle room in life to choose my response to the circumstances I find myself in. And sometimes I have to choose to be hopeful, or choose to be grateful, or choose not to let anger take over. A tiny thing in the grand scheme of things, but for 266 households in Beaconsfield yesterday afternoon and evening, the power went out. I had things to do on my computer, my cell phone was low on battery life, and I could feel the ire rising…and then I remembered this Resurrection Project. “What will I choose, in this situation that brings life?” Goshdarn it, I preached it, I’d better practise what I preach! So I chose to phone a colleague to plan a life-giving event with the remaining battery power, and accepted an invitation to supper. I chose to stop en route to be amazed at the ice sculptures along the lakeshore, and had a delightful conversation and relished the baked fish, and joined friends at the pub afterwards. That’s Resurrection living, and it was more than I could have asked or imagined…. If you want to post a comment, find the box at the end of one of the pages which asks to you "Leave a reply." Write your comment and click "Submit". Your post then waits to be verified as genuine. Expect to wait a while before your comment appears. Rev. Elisabeth Jones is Minister at Cedar Park United Church in Pointe Claire, Quebec. Elisabeth has spent a good deal of her academic and congregational ministry exploring ways to make the Bible more accessible to people who want to take it seriously, but not literally. She is equally passionate about living and sharing a faith that is hopeful, affirming, intelligent, challenging and transformative.